Hope you've all had a fabulous week and having an even better weekend. 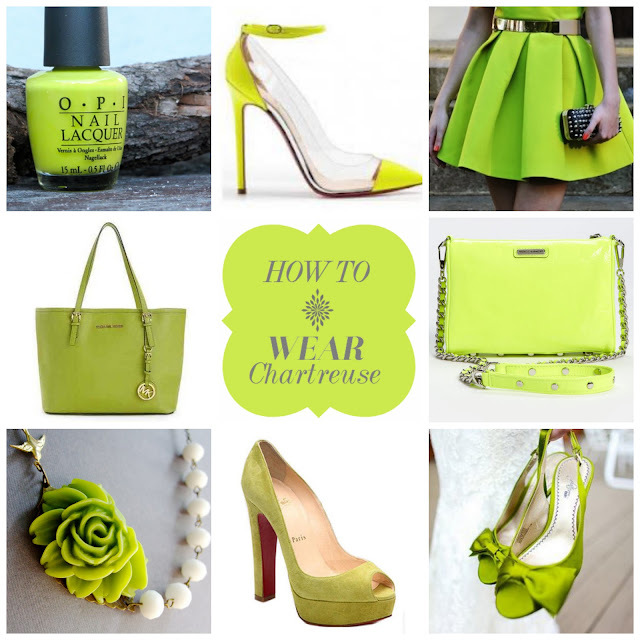 So I've been meaning to blog about this for a while and I've finally found the time to do it - Chartreuse! For those of you unfamiliar with that term, it's pretty much the colour of the season. It can be best described as a colour between yellow and green, and it has taken the fashion world by storm. It's name is derived from a French liqueur of that colour. So if you haven't already been wearing it, you should definitely start now! Here are some examples to give you all some inspiration to rock it, because I seriously think it works with all complexions. Yes, it looks really wonderful combination of all things you shared. I have all had a fabulous week and having an even better weekend.Thank you for sharing wonderful fashionable color yellow with green.